In four days of Enterprise Connect, I attended (or participated in) a dozen panel sessions, attended over two dozen booth briefings, walked about 32,000 steps (according to my iPhone), and had hundreds of hallway discussions with thousands of questions about the industry and the Enterprise Connect event. This isn’t a brag. These numbers are pretty typical, and I’m sure some of you have even higher numbers! My point is that among all of these questions, the future of this type of event rests on a single one. This may seem like a cynical, even crass, analysis. As if all anyone cares about is doing a simple formula where they multiply the number of leads times the value of each lead and compare it to the cost of attending this event. Obviously, there is far more value in Enterprise Connect than that. When I talk about end users at the booths, I’m not just talking about leads, I’m talking about the future development of our industry. The exchange of information between vendors and technology users in the open discussion atmosphere of the booths has a huge impact on the future of the industry. We have all seen the pain on the face of a product developer’s face when she is trying to explain an offering to trade show attendees who just don’t get it, because the offering doesn’t make sense. You see the frustration on the product CMO’s face when she has to answer the same question over and over because something odd about the product is literally creating a question in customers’ minds. You see the acceptance wash over the CEOs face when in panel after panel users are standing up during the Q&A and saying “That’s all great, but we want this other thing and if you don’t give it to us we will look elsewhere.” These experiences only happen if Enterprise Connect provides enough end user value and information to outweigh the time out of the office. End users must believe that at Enterprise Connect they will learn the techniques, and find the tools, to increase their teams’ productivity far beyond whatever work time was lost while attending. According to every vendor I spoke with, they not only had good traffic at the booths in general, but the show was heavily attended by end users. Everyone was very happy with the high level discussions about not just specific product features, but overall trends in technology, culture, and working teams. It’s unfortunate when I attend a trade show consisting of vendors and industry insiders talking to each other. It is great to see that the EC community has figured out how to put end users first and make this show about them. 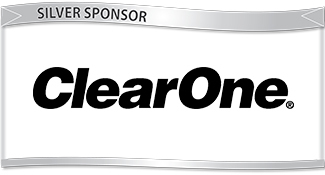 Full Disclosure: Several LDV sponsors were exhibiting at Enterprise Connect this year. 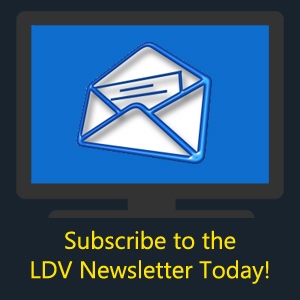 LDV strives to provide neutral, third-party coverage of sponsors and non-sponsors in our day-to-day writing, as well as event coverage. 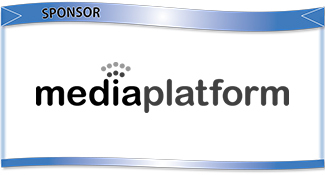 Sponsors are listed at the top of the “Vendor Briefings” section below (the ones with logo headers). However, everyone that we found interesting and had time to brief with was covered. None of the content of this article has been paid for or pre-approved by any vendor or sponsor. Apologies to those I missed. Let’s set up those InfoComm briefings early! Scott and Rebekah Allendevaux’s growing team has completed yet another massive internal security review for a very well known cloud video vendor in our space. Dealing with GDPR is a major concern, and only part of the bigger security picture. 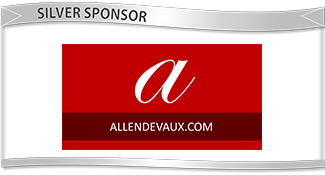 If you aren’t aware of Allendevaux Company and their services, please see this LDV Podcast where I interview the leadership team about their services. With all the security concerns (and high profile breaches) in our space, it is worth taking a few minutes to get to know this firm. Carl Harvell (Sr. Director of Customer Success and Service), has been keeping busy since our recent podcast about the new AVer CAM540. 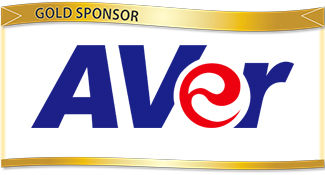 AVer has an even newer offering out with the EP65, a flat screen touch panel designed as an all-in-one Zoom Room solution. The popularity of software based room solutions, such as Zoom Rooms, is changing the way consumers purchase meeting room equipment. AVer was quick to go all in on this wave, with product after product designed to support this new way to enable video in meeting rooms. The EP65 is the next step in this evolution, with literally one component to hang on a wall, power up, and connect to the internet before making your first call. The Bluejeans team continues to see great success from its partnership with Dolby, and its new modern user interface. I had a chance to chat with Guillaume “G” Vives (Chief Product Officer), Zachary Bosin (Senior Director, Product Marketing), Erin Cheever (Corporate Communications), and John Knightly (SVP Product and Solution Marketing). 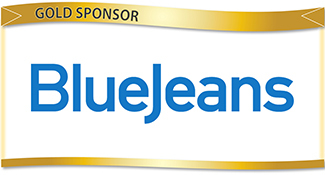 BlueJeans recently announced a new “Rooms-as-a-Service” deployment model for BlueJeans Room licenses with the Dolby Voice Room hardware. This model is attractive for many reasons. It’s low risk, and future proofed as you aren’t buying any hardware. You aren’t buying a device, you are subscribing to have videoconferencing enabled in your meeting rooms. As technology improves through software and hardware updates, your subscription keeps you up to date. The BlueJeans team also had some NDA info to share with me. We should expect some announcements in the next few quarters. A few years ago, Cisco got a very accomplished, impressive, charismatic, new leader for its collaboration division. Some people questioned the choice, as he didn’t come from the collaboration space. He made some dramatic changes, fixed a lot of things that were very wrong, and made Cisco a ton of money. Now, Cisco has a new, very accomplished, impressive, charismatic leader for its collaboration division, and some people are again staying “But she doesn’t come from the collaboration space.” I think its worth at least a “let’s wait and see” before we dismiss Amy Chang. Even Cisco’s critics have positive things to say about her. Cisco made it clear in their keynote and briefings that they are going heavy on cognitive AI for meetings. The early examples they have shown (names under video meeting participants, a LinkedIn-like background page for meeting attendees, etc.) get a good reaction from demo attendees, and it feels like this is the tip of the iceberg. From a competitive perspective, it seems they are betting that the smaller cloud video companies can not match their engineering muscle when it comes to the massive computing needed for the big picture cognitive AI concepts. Cisco really has two battles to fight. As a recent Forbes article detailed, their Webex Meetings is going head to head with Zoom Meetings. This may be the hottest fight in our industry right now. Webex Meetings has a new, much improved, UI, and as Aruna Ravichandran (VP of Marketing for Cisco Collaboration) explained in the Forbes piece, Cisco has a really broad set of offerings and their customers like to get a complete solution from Cisco, including Webex Meetings. Going full steam against Zoom isn’t easy as Zoom users just have incredible loyalty and even affection for the service. 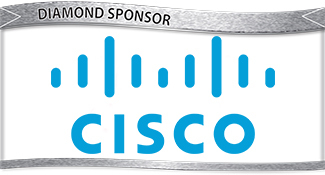 But Cisco is bringing the big guns, and a brand new Webex Meetings, to this fight. The other battle is in the teams market. Webex Teams could and should be a head to head competitor with Microsoft Teams. While Microsoft does have a big advantage of including Teams in Office 365, I don’t think the battle for the team space is over. Users are very picky about the workflow and functionality of their team solutions. Look at the continuing popularity of Slack in the face of the massive Microsoft Teams onslaught. The teams market is still very much up for grabs. If Webex Teams gets the same kind of attention and refresh that created the new Webex Meetings, it could really give Microsoft Teams a run for the money. It was great to chat with the Cisco folks and thanks to Christine Johansen, PR Manager for Cisco Collab for making sure all my questions were answered. It was great to catch up with Andrew Border (Vice President, Dolby Voice) after having recently reviewed the new Dolby Voice Room with Highfive integration. After spending so much time hands on with the device, I wanted to know Dolby’s true intention in the business collaboration space. Are they dipping their toes in the space, to let their engineers spread their wings a bit and show off their skills? Is the goal to demonstrate the versatility and design chops of Dolby in different settings? Or are they looking to be a part of the business collaboration space in a big way? Of course no company will admit to dabbling, but Andrew really convinced me that Dolby is serious about collaboration. Their development plans, product roadmap, and future plans in the space were far beyond my expectations and mostly NDA. 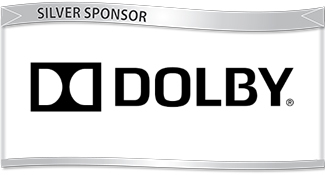 Stay tuned for more from Dolby. 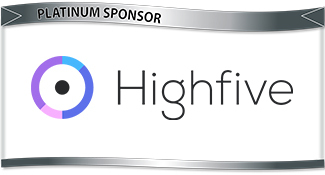 Highfive had a surprisingly large presence at Enterprise Connect for those who are not familiar with the company and its new leadership. There are countless cloud video vendors in the space, but new CEO Joe Manuele and Chris Heinemann (Sr. Director, Corporate Marketing) believe Highfive has the differentiators, the developers, and the vision to be one of the few standout companies in the space. Joe is quick to note parallels between the software upgrade-able device approach in his Tesla, and the software upgrade-able device approach to Highfive in the meeting room. As shown in our recent evaluation of the Dolby Voice Room with Highfive software, the experience was defined by the software and supported by the hardware. Just like the Tesla. As Highfive adds more hardware partners, we can expect each integration to be just as customized and responsive to end users feedback. Talk about being at the right place at the right time. 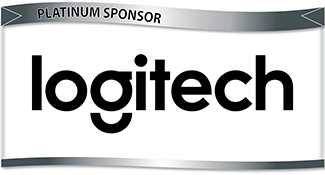 Just as Logitech establishes itself as not just a safe choice, but a leader with its business facing video collaboration gear, the market explodes with a need for just these types of devices. The “peripheral based software room kit” segment is on fire, and Logitech is the first peripheral vendor that many people think of in this context. Joan Vandermate (Head of Marketing, Collaboration Business Unit) and Robin Raulf-Sager (Global Communications, Video Solutions), showed me the new Logitech Tap, which rounds out any software room kit by functioning as the hub/control panel, allowing for a complete kit using only Logitech components. Check out this awesome video the team put together to show how easy it is to join a meeting with a single tap. Ryan Root and the Phoenix team had a whole bunch of news under NDA for me. They are seriously reinventing this company, mark my words. For now, they continue to highlight leading products such as their Stingray DSP Mixer. 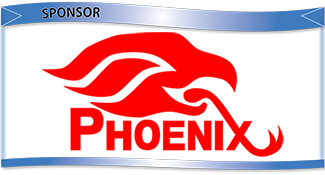 To learn more, please tune in for an April 10th webinar where I will chat with Phoenix customers about the unique benefits of a “programming free” DSP. Zoom had a massive presence at EC this year. They had a two story booth to show off all their partnered solutions and talk about their new Zoom Phone, Zoom Room, and Zoom Meeting announcements. Their execs were on numerous panels. Their software was on display in countless partner booths. They also were clearly occupying plenty of rent-free space in their competitor’s heads. 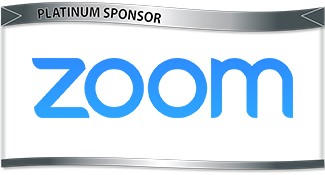 Janelle Raney (Head of Product Marketing) assured me that Zoom is not resting on its success, and will continue following their formula of prioritizing customer happiness. The biggest story, however, was the one that everyone knew, but no one was allowed to talk about. Zoom is going public. The Twitter reactions say it all. Zoom could easily have a second revenue stream by selling laminated copies of their S-1 as a coffee table book based on how beautiful the numbers are. That S-1 is like the dead sea scrolls for other unicorns. Every startup entrepreneur should print out and frame Zoom’s S1. Just when you think you’ve seen everything – in terms of 10/10 execution in tech companies – someone like @zoom_us and @ericsyuan comes along to raise the bar (much much) higher. The S1 document for @zoom_us is just a thing of beauty. the cap table is flawless, the missions statement and founder letter are crisp and erudite. the growth, the turning of a profit. Many cloud communications vendors found themselves with a unique opportunity in recent years. They have a large, happy, user base on an existing voice/chat solution that is now clamoring for video. Some companies in this situation will try to create their own video code to add to their offerings. That approach is a “catch up” model and requires time to be competitive. Other companies purchase a technology and bolt it onto their solution. That approach is stopgap, and will only carry a company until the next wave of innovation hits the industry. Smart vendors, like 8×8, acquire a team of video experts to round out their developers. Meghan Keough (Global VP Product Marketing), Hunter Middleton (Global VP Product Management) Emil Ivov, (Director of Product Management, Meeting) shared with me how through the recent acquisition of Jitsi, 8×8 not only was able to upgrade its 8×8 Meetings platform with current generation videoconferencing, but they now have an internal team of video experts working on their next release. Chris McGugan (SVP Solutions & Technology) shared that Avaya is still in the video collaboration game in a big way. They have new offerings in the huddle space, and are looking to support today’s cloud centric workforce. Dave Fitzgerald (VP Global Alliances) had a few surprises for me at the Barco booth. I am familiar with Barco’s leading Clickshare and UniSee products, and aware of their larger portfolio of related offerings. What I wasn’t as aware of is the power of some of their offerings on the software/service side of the house such as Barco Overture monitoring solution. The demand is growing for these kinds of offerings, its great to see more options on the market, and Overture looks pretty compelling. Todd Carothers (EVP of Sales, Marketing & Product), took me through the latest updates to their Bria Teams offering, which was a finalist in this year’s Best of Enterprise Connect. I love to see different vendors, and different approaches, to integrating the new team chat workflow with our existing voice, video, and UC options. Crestron is stepping right into the LDV wheelhouse with its Crestron UC Smart Soundbar offering. Nic Milani (Executive Director, Commercial Product Marketing) walked me through the specs and I was pleased to see that current gen features like auto framing and people counting are already supported. He also gave me a very visual demonstration of its amazing pickup range as they had taped off lines on the ground at different distances where a few of their competitor’s audio pickup cuts off. The taped line for the Crestron Smart Bar was not only far behind its competitors, it was across the aisle in the next booth. Obviously, this high end device, as part of a suite of Crestron meeting tools, supported by Crestron’s management and scheduling software, is going to be a compelling choice in the enterprise. Peter Stewart (President, Americas) showed me the highlights of Cyviz on an incredibly large display at the booth. Room control, management, and analytics is becoming more and more interesting to enterprise AV deployments, and solutions like Cyviz provide far more than the monitoring systems of the past. Truly futuristic UIs and incredibly granular control make AV management almost fun! I met with Eric Hanson (VP Product Marketing) who showed me the latest features of the Fuze platform along with their product roadmap and some notable customers. I feel like I should be paying closer attention to Fuze and promise to follow up with a closer look. They certainly have a presence at these events, but seem to get left out of the discussion among analysts. I was particularly excited to chat with James Hart (Global Marketing Operations) this year at EC. Of course, it is always great to catch up with a legendary brand and leader in audio, but this year there was more. Jabra’s parent company had just purchased Altia Systems, which I have been following closely since its inception. It is too early to predict anything, but the potential for a huddle room bundle with Jabra audio and the Altia Systems PanaCast camera is pretty obvious to me. A bundle like that would be instantly differentiated by the unique capabilities of the PanaCast. This is clearly one to watch. When I first started covering this industry, a new company came out of nowhere offering 720p videoconferencing. The analysts and pundits laughed, saying that no one was asking for higher than 480p broadcast tv resolution. The buzz was interop and affordability, not higher resolution. 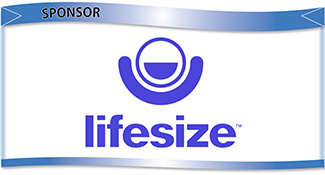 Then Lifesize hit the market and high def became the biggest trend in videoconferencing. Now, Lifesize is offering a full suite of video solutions from boardroom to huddle room, along the lines of industry expectations, but with a key differentiator of 4k resolution. Will HD lightning strike twice for Lifesize? Will the market once again say “Well, if they all do the same thing, why not get the 4K one?” Bobby Beckmann (CTO), showed me the latest endpoints, as well as the new Lifesize Share. How central is Microsoft Teams to every discussion at Enterprise Connect (in addition to winning Best Overall of EC)? I literally had one vendor show me the new “MS Teams” button on his audio device, and when I asked what the button would do, he looked confused for a second, then smiled and said “Whatever Microsoft wants it to do!” That happened. At the Microsoft booth itself, Kendra Baker (Microsoft Teams Product Marketing), hosted a large group of analysts giving us an up close and personal look at the latest MS Teams products and partner integrations. Some in particular had a pretty cool wow factor, but my overall feeling was “oh my goodness they are tying MS Teams into everything that isn’t moving, and some things that are moving.” I’ve been using MS Teams with my internal LDV team, and while there are certain areas where they really knocked my socks off, I have a few nits with the workflow. Stay tuned for a more in depth look. Adrian Doughty gave me a run through of the latest innovations from Nureva. While there are always advances “under the hood” to improve performance, I was most impressed by the development they continuously make to the software of their Span Wall solution in response to customer feedback. Features such as PDF support, more color/customization options, improved sharing workflows, may not seem game changing, but a continuously developing platform is exactly what customers need to ensure future workflows will be supported. I was able to get a last minute briefing with Sam Liang (CEO) after I learned that Otter is the technology powering one of Zoom’s hottest new features. I downloaded the free Otter app to my phone, hit the start button, and was amazed when it immediately began to transcribe our conversation in real time, with impressive accuracy. This is one of those “you gotta check this out yourself” things. Go get the free app from the app store on your phone right now and try it. Karl Hantho (President – Americas) and Lindsey Baine (Marketing Manager) had plenty to share with me regarding Microsoft Teams integrations, new customers and partners, continuing growth, opening new locations, and other good news. 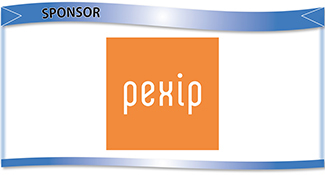 But the big story continues to be the incredible synergy, and seamless merger, of Pexip and Videxio. In terms of offering, personnel, and even corporate culture, it is the model of a win/win. Pexip continues to push forward with new developments to the platform, while Videxio wraps it in a service that brings modern usability and ease of use to traditional high quality videoconferencing deployments. It was great to catch up with Mark Roberts (CMO) and learn about PGi’s plans for collaboration. It is a bit of a no-brainer when you put the pieces together. PGi has a great, global, audio network. Their customers want UCaaS over that great network and PGi is ready to deliver it. Part of getting ready was having Mark himself, and Don Joos, joining the PGi team with their high level leadership experience in delivering UCaaS. The Poly Announcement was certainly a key event at EC this year. Poly branding was everywhere and the Polycom Studio won a best of show. Polycom is a historic presence in our industry and even competitors seemed to be hoping that the Plantronics deal works out well. So far it certainly seems to be doing so as everyone speaks positively about the synergies, product plans, and leadership team of the new organization. 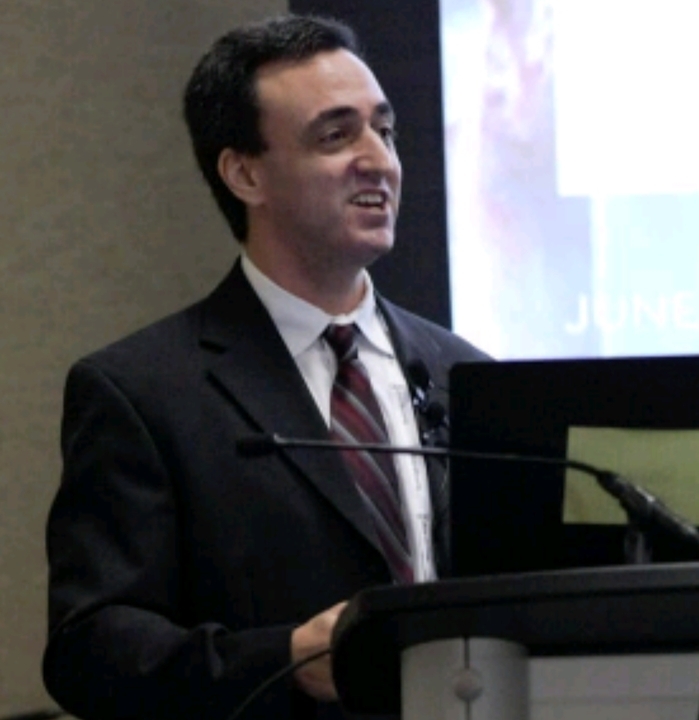 David Danto, (Director of UC Strategy and Research), a familiar face to many at EC, first appeared in his new role at Poly to share and explain the new company, its vision, and direction. My personal take? It is still very early, but I like it when a company focuses on what they are good at and plays to its strengths. There are things that Polycom and Plantronics are extremely good at, and they seem to be focusing 100% on them. Everyone expects Sennheiser to show up with a new impressive line of gear at these events. What I didn’t expect, and was pleased to see, was Sennheiser going beyond its expertise in audio hardware, and positioning itself as experts and influencers in the greater trends in the collaboration community. Sennheiser hosted an analyst panel on future trends in the workplace, to provide a forum for analysts and end users to share data and experiences from our ever changing workflows and productivity methodologies. The subject wasn’t audio and headphones, it was users and workflows. 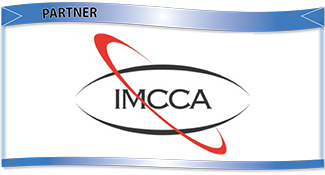 Similarly, Sennheiser participated in the recent IMCCA NY Summit along similar educational, and user community support, lines. Of course, Jim Fairweather (Vice President Sales & Marketing) also had plenty of the latest and greatest gear to show off as well. 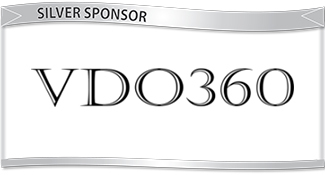 As in previous years, LDV is partnering with fellow industry pundit David Danto to provide our event coverage. As Mr. Danto is now with a vendor in the industry, we are sharing the portions of his coverage that do not relate to any vendors (including his own), pursuant to LDV guest blogger policy. 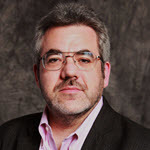 Please see Mr. Danto’s blog for his full unfiltered thoughts, and see the following for his comments on themes and trends. AI: Most attendees were very interested in how artificial intelligence and machine learning would change what we do. There were a small number of sessions and one keynote from Cisco that addressed this directly, but from the questions asked in the sessions and the manufacturer’s exhibits it was clear that this is something everyone is hyper-focused upon. Whether it’s to help in retrieving appropriate background for sales and support calls, help manage inquiries automatically, help support voice control of systems or just generally work at improving the user experience, AI will clearly play a large role. Look for more session focus on this topic at future events. Frictionless: The users that attended made it very clear – in their questions and comments – that there is still too much in their way preventing easy meetings. While many of the manufacturers and service-providers have made it easier to connect on their systems and platforms, at the same time they’ve made interoperability an even bigger monster – and users are fed-up. (It’s hard to believe that in 2019 we’re still legitimately complaining about interoperability.) “We just want it to work” is the clearly the continuing user mantra. “One size”: I can’t even count how many times speakers and attendees repeated the phrase “one size does not fit all.” This is clearly a backlash against manufacturers and service-providers that say the solution to all the problems in the world is using their system or platform. Users were loud and clear – regardless if the topic was cloud, soft-phones, platforms or team-chat – every tool/platform/device being offered is not appropriate for every user application. Team-Chat: It was interesting to see how much of last year’s hype around that subject has died down. If you recall – at Enterprise Connect 2018 – just about every keynote addressed the fad. This year, for the most part, Microsoft was the only vendor still emphasizing team chat in their “Teams” platform. I personally believe the reason for this (as I’ve stated before) is that team chat / persistent chat platforms just do not scale well for large enterprises. They are a fabulous tool, but only really appropriate when you have a small-ish (~5 to ~50) team of people motivated to engage on the topic at hand. When you try to use it for hundreds or thousands of people it loses much of its power to improve productivity and increase engagement. With larger numbers of users it is likely that you will have a percentage of non-motivated individuals that will require “chasing” to contribute to the tasks, doubling the workload in any necessary parallel effort. I like “teams” and use it daily, but IMHO it is one of many collaboration tools in the toolbox, not the single one that we’ll all be using in the future. Democratization: Regardless of any competitive disagreements, it was clear that costs of collaboration are dropping substantially. Service providers have more competition which drives costs down, there is an explosion of room collaboration platforms that work off of general compute platforms – which drives costs down; and manufacturers are building new peripherals and appliances for a fraction of what they used to cost. The result of this is collaboration is growing at a much faster pace and with a much greater ability to scale than ever before. The “video is the new voice” mantra of many years ago may actually come true. WebRTC: Ok, I’m just throwing this one in for the requisite groan. (Bla, bla.bla…..WebRTC will be how everything will interoperate in the future….bla, bla, bla…It will revolutionize collaboration…..bla, bla, bla….everyone will eventually adopt the same standard….. bla, bla, bla.) Yes, there were still a few people that were actually still chanting this at the conference this year. Maybe it will eventually be great or maybe it won’t, but as I’ve been saying for many years, don’t hold your breath. Interoperability is something our industry could have today if the manufacturers and service providers really wanted to do it. Saying ‘it will be there in the future, but only when everybody else adopts the standard that I’ve chosen’ is transparent enough to be seen for what it is.